A recap of the season that had a little bit of everything, save a playoff berth. The Rays celebrate their ninth and final walk off win of the 2018 season on September 10th versus the Cleveland Indians. “The Rays are the latest team to give up on the 2018 season.” “The Rays Are Being Stripped For Parts.” “The Rays are now the least interesting team in baseball.” “The Rays are a disgrace to baseball.” These are just a handful of the aggressive, derogatory headlines that were written by baseball writers about the Tampa Bay Rays prior to their 2018 season. Although hindsight is 20/20, let’s take a moment to acknowledge (and laugh at) just how wrong all of these “experts” were by recapping the Rays’ very successful, albeit playoff-less, 2018 season. Not only were the Rays not terrible, they were actually quite good, posting a 90-72 record that in most years is good enough to be playing October baseball. In fact, a mere 85 wins was enough to qualify for the postseason in 2017. Additionally, in 2018, the NL East champion Atlanta Braves have an identical record, and the playoff-bound Cleveland Indians, Colorado Rockies, and Los Angeles Dodgers all won just 91 games. Tampa Bay won more games than any other non-playoff team. Even more impressively, the Rays reached the 90 win plateau despite a pitiful 3-12 start to the season. Tampa Bay’s season was characterized by many prolonged losing and winning streaks, causing the team to hover around .500 for much of the season. 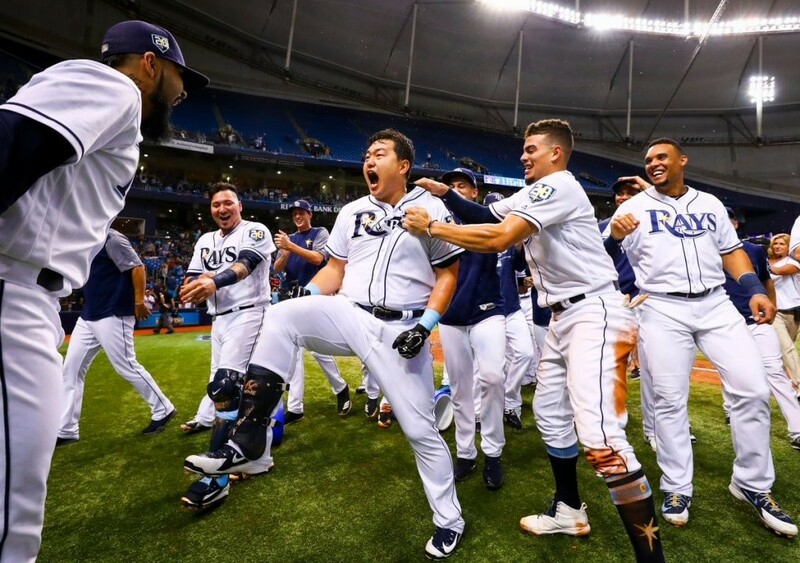 However, the 2018 Rays established themselves as a well-above average baseball team with a span of 23 wins in 28 games from August 20th to September 19th that helped bring the team to the 18 games over .500 that their final record shows. One of the most notable baseball storylines to come out of Tampa Bay this year, and a significant contributing factor to the team’s success, was the use of openers and bullpen days as opposed to the traditional five-man starting pitching rotation. In fact, for part of the season, the Rays’ pitching staff only included one true starting pitcher, Blake Snell (more about him later). On many days, the Rays sent out one of their talented relief pitchers, such as Sergio Romo, Ryne Stanek, or Diego Castillo, to pitch the first one or two innings of the game, before turning the ball over to a “bulk guy,” such as Ryan Yarbrough or Yonny Chirinos, who would then go on to pitch the majority of the remaining innings. This was a unique and never before used strategy that garnered rare national attention for the Rays and, more importantly, helped Tampa Bay win games. In order to win 90 games, a team must have many key contributors, and the 2018 Rays were no exception. Nonetheless, one player stands out from the rest when talking about his impact on the team. That player is Blake Snell. Snell was masterful in this his third MLB season, as his 1.89 ERA, 21-5 record, and 221 strikeouts all add up to the best season by a Rays pitcher in the history of the 21-year old franchise. Not to mention, Snell is the obvious favorite to win the AL Cy Young, which is given each year to the best pitcher from the American League. Speaking of awards, I don’t think anyone saw Joey Wendle’s Rookie of the Year caliber season coming. Wendle did it all for the Rays this year, hitting .300, driving in 61 runs, and playing five different positions exceptionally well. Manager Kevin Cash is also in consideration for the AL Manager of the Year, thanks to ideas like the aforementioned opener and for the fact that he led a team of relative no-names to a surprisingly successful season. Last, but certainly not least, the 2018 season saw a youth movement across the Rays roster. Promising prospects like Willy Adames, Jake Bauers, and Brandon Lowe all made their debuts for the big league club this season. Unfortunately for other teams, Tampa Bay only scratched the surface of their prospect pool and potential in 2018. The future is truly bright for the Tampa Bay Rays.